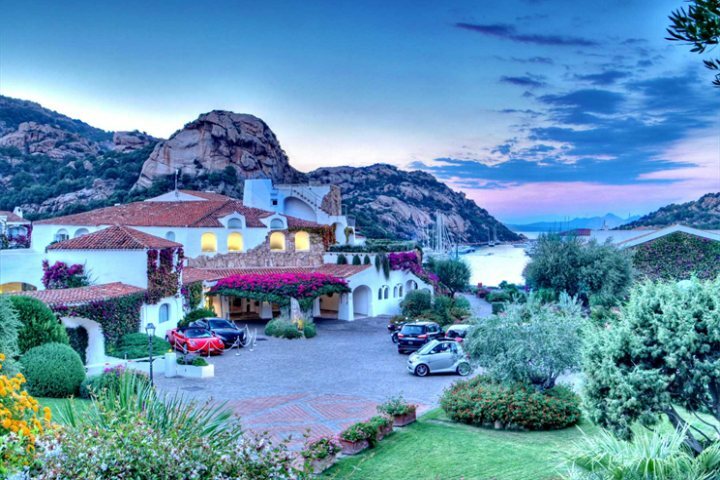 Maxine from our Marketing Department shares her memories of a wonderful trip to Sardinia, including the Maddalena Islands and The Grand Hotel Poltu Quatu. 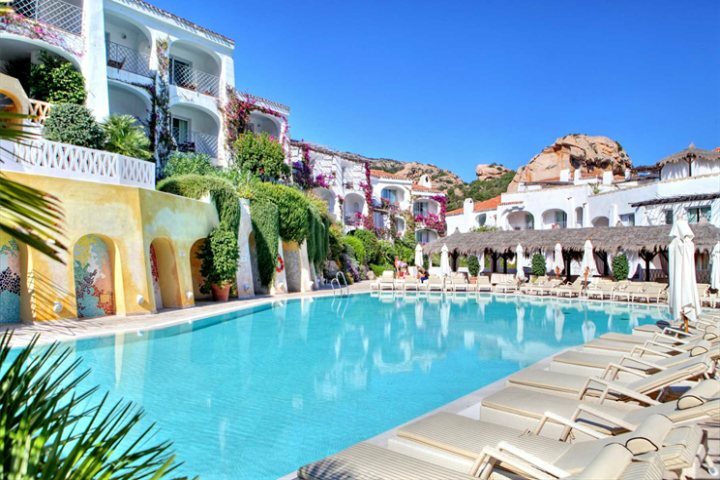 When Giulia and I were offered a fam trip to see the Grand Hotel Poltu on the Costa Smeralda, we jumped at the chance; we like to have first-hand knowledge of all our properties and neither of us were familiar with this hotel. As we left Gatwick, we looked out the window of the plane and waved goodbye to the dull rainy skies of England and had a pleasant two-hour flight to Olbia. The view from the window of the plane as we came into land couldn’t have been more different. 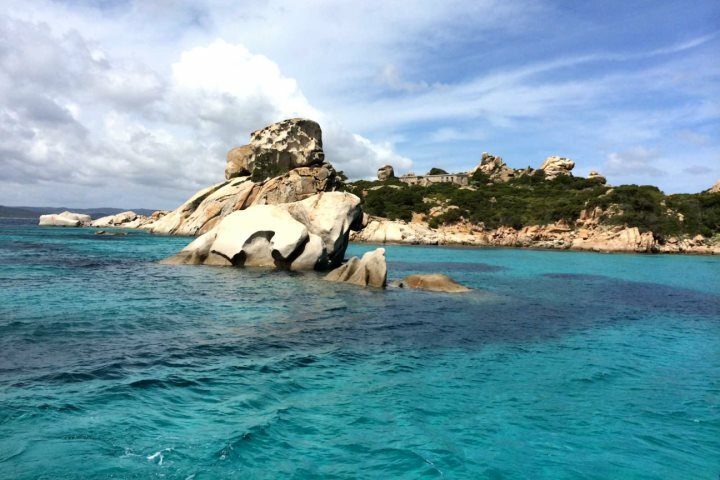 Beautiful bright blue skies… Hello Sardinia! The hotel had arranged for a driver to collect us from the airport (car hire is included with packages at this hotel). A peaceful 40-minute drive to the hotel followed, while we enjoyed the amazing views along the coastal road towards Poltu Quatu. 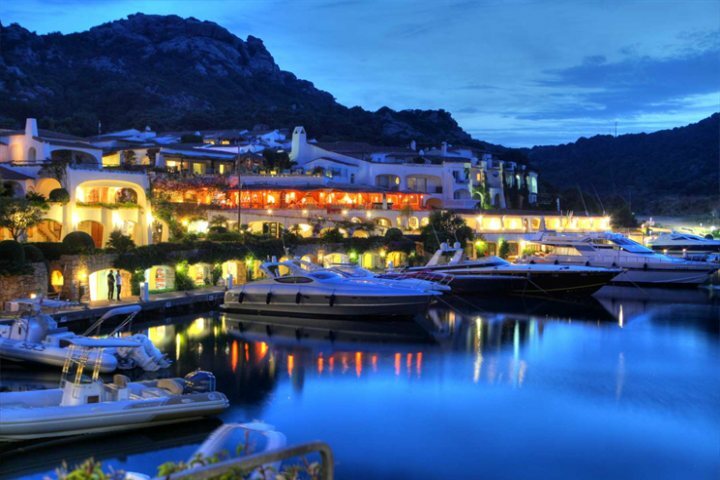 The hotel is situated in a very pretty little port, and was built to resemble an old fishing village. The outside entrance is stunning with bougainvillea covering the white buildings, all with a backdrop of pink granite mountains; just beautiful. I couldn’t wait to see the rest of the hotel, and it didn’t disappoint! After we checked in at the impressive reception area, we were shown to our room (a superior room, overlooking the pool) the room was very spacious with extremely tasteful décor. After some free time to unpack and change, we were shown around the hotel which has a spa, gym, tennis courts, and a fantastic range of room types, from classic rooms, right up to the extremely impressive presidential suite. 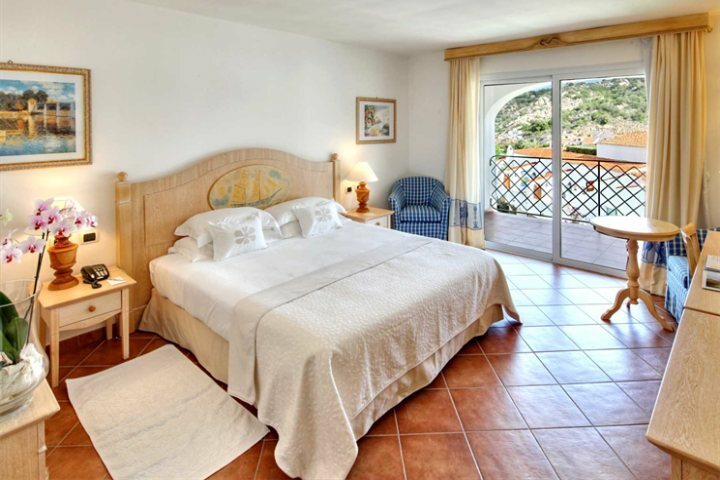 The hotel also offers apartments which are perfect for families. When we had finished our tour we were treated to a beautiful four-course dinner, which was a set menu for the fam trip. Now, I’m not a huge fan of fish, so I was quite disappointed when I saw the menu, as the first 3 courses were all fish. But, not to be rude, I ate them all, and I am so glad I did. The food was so fresh and delicious and not at all “fishy tasting”… Yummy! Once we were finished with dinner, I almost asked them to roll me back to our room, as I was so full. Then, to the extremely comfortable bed, where I had the best night’s sleep in ages. I think Giulia had a good night's sleep too as the first thing she said when she woke up was “I don’t know where I am”! Erm, we’re in paradise! 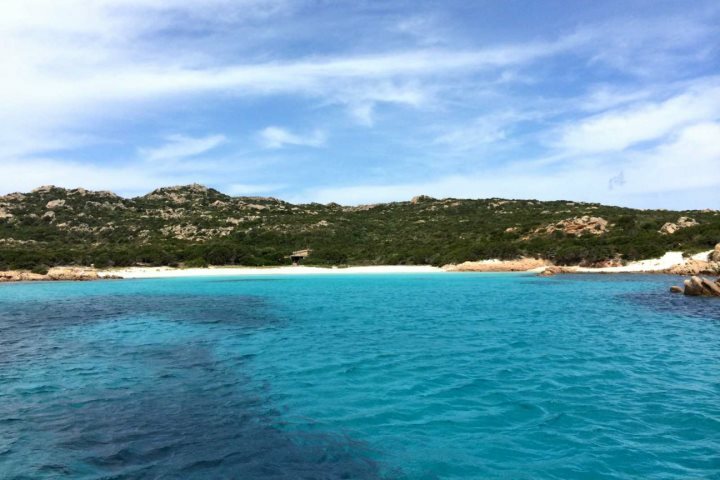 That morning, the hotel had organised a trip to La Maddalena Islands National Park with Elio, the owner of Bluwonder DMC, on one of their lovely boats. Unfortunately the weather wasn’t great that morning, so the trip was a little bit bumpy, but it was still amazing. We were treated to the sights of the beautiful islands of the archipelago, stopping off to gaze at the wonderful rock formations and beach at Spargi Island. Then Budelli Island came into view, said to be one of the most beautiful islands in the Mediterranean and one of four uninhabited islands in the archipelago. The beach here is known as Spiaggia Rosa, the Pink Beach, due to the microscopic fragments of corals and shells such as Miriapora truncata and Miniacina miniace. Elio explained that the little hut on the island houses a guard who stays on the island to make sure nobody sets foot on the beach or moors too close, as it is a protected area with a delicate eco-system. Apparently the current guard has lived on the island for the last 25 years and other guards bring him food and water. We weren’t sure if Elio was joking, but he looked pretty serious! We were soon discussing how long we thought we would last on an island without Wi-Fi and all the mod-cons we are so used to. Our first thoughts were about a month but this was soon reduced to just one week! By now the sun was shining brightly, showing the islands in all their glory. As we made our way back, I dearly wished we had time to get off the boat and sunbathe on the glorious soft white sand. After another delicious meal at the hotel for lunch, we had the afternoon to do as we pleased. 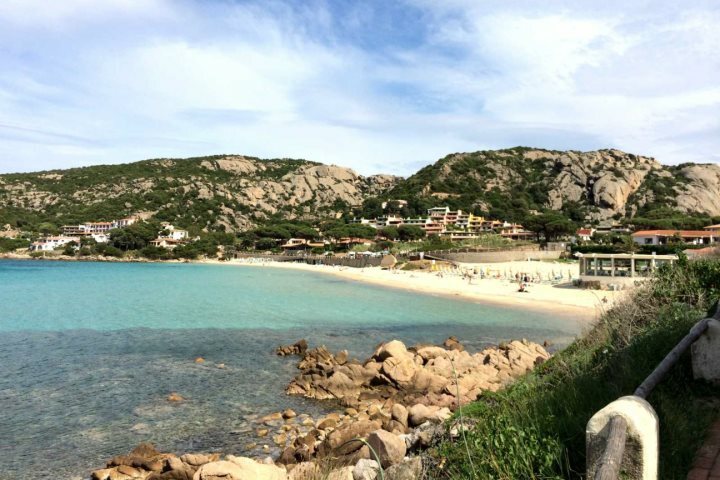 We decided to take a taxi to Baia Sardinia, which is just a five-minute drive from the hotel. It has a lovely beach and some great bars and restaurants including the very popular Phi Beach. After such an exhausting morning of swanning about on a boat, we thought we deserved a lie down on the beach! After sunning ourselves and a quick dip in the crystal clear water, we dragged ourselves away, back to the hotel to prepare for another huge but fantastic meal. Boy do they know how to feed you at this place! Then back to our room, for one more comfortable and peaceful night's sleep, before returning to my chaotic home. When can I go back?